​Tiny flowers arrange in a cluster. Sepals and petals fall off as the flower opens, revealing many conspicuous white stamens. ​The name "Doll's Eyes" pertains to the fruit - shiny white berries with a black dot on thick red stalks. 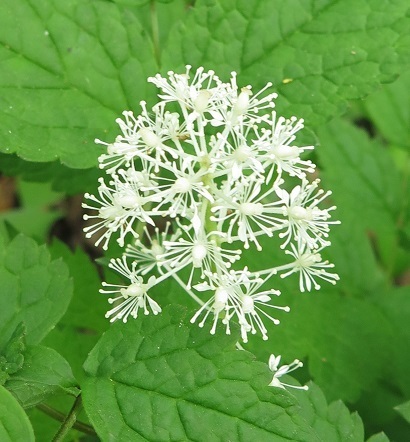 These are poisonous - hence the name "baneberry."